Faced with unprecedented levels of stressed assets, State Bank of India (SBI) sold over Rs 10,000 crore of bad loans to asset reconstruction companies (ARC) in March alone. Faced with unprecedented levels of stressed assets, banks led by the country's largest lender State Bank of India (SBI) sold over Rs 10,000 crore of bad loans to asset reconstruction companies (ARC) in March alone. "This single-month figure is higher than any other yearly number from the past," an industry source said, wishing not to be named. Due to the high accretion of NPAs in the recent past -- the total NPAs stood at 4.2 per cent as of September 2013 -- the banks are being nudged to sell bad assets to the 14 ARCs. Together with restructured assets the total stressed assets in the system touched 10.2 per cent as of the December quarter. Banks have recast nearly a Rs 1 trillion worth of loans in the past fiscal alone, taking the total CDR book to over Rs 4 trillion. SBI, which had reported 5.73 per cent NPAs in the December quarter, led the chart by reportedly selling close to Rs 4,000 crore to ARCs. This was for the first time the bank has done so. State Bank chairperson Arundhati Bhattacharya had last week said in Kolkata that her bank was selling Rs 3,500- 4,000 crore of its Rs 6,77,800 crore NPAs to ARCs in FY14. In March banks reportedly invited bids to sell Rs 42,800 crore of bad assets. The ARCs have not been so strong in mopping up bad assets in the past few years and often complain about a lack of seriousness from banks when it comes to sale of assets. According to ARCs, in the past banks merely used the mechanism of inviting bids for price discovery on the assets and walked out saying the money offered by ARCs is low. Apart from SBI, other lenders have also gone public with their intention of selling bad assets. 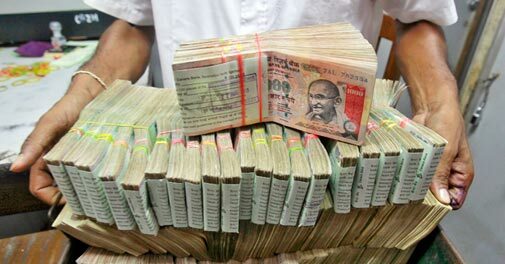 The state-run Bank of India said it was mulling to offload Rs 900 crore to ARCs in the March quarter alone, after auctioning Rs 2,000 crore in the first three quarters. The troubled United Bank of India, which reported a spike in the gross NPAs to over 10 per cent as of December, was planning to sell Rs 700 crore in bad assets.